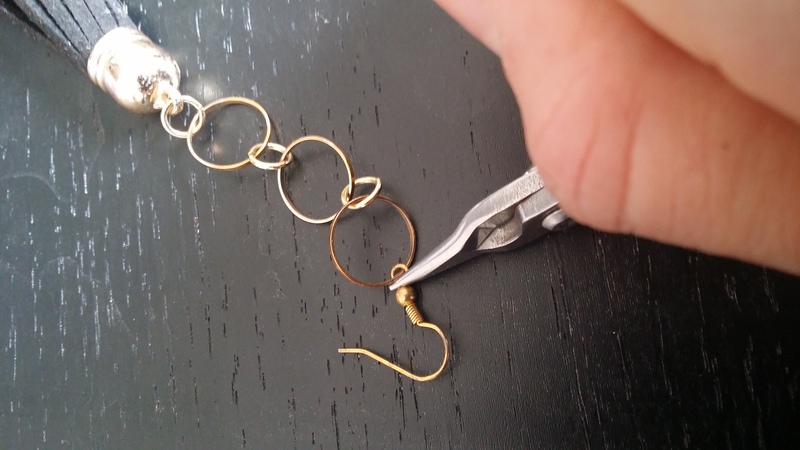 Step 1: Using your flat-nosed pliers, open all the jump rings. 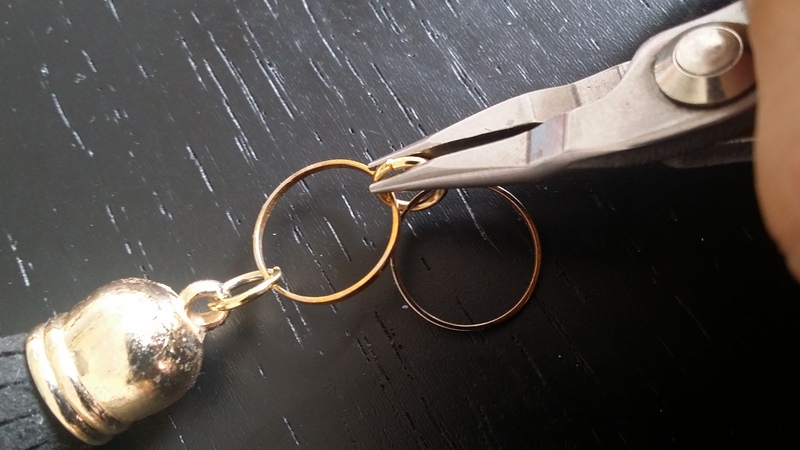 Step 2: Insert the tassel and 1 hoop into the jump ring, then use your pliers to close the jump ring. 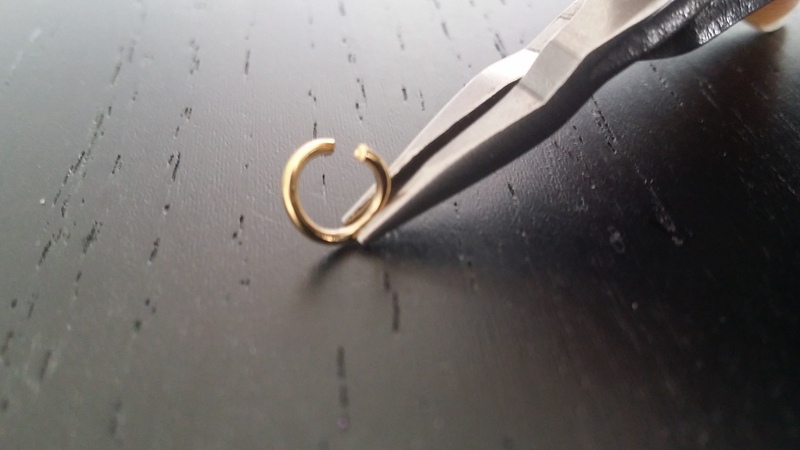 Step 3: Insert Step 2 and another hoop into an open jump ring. Close the jump ring. Insert this and another hoop into another open jump ring. Close the jump ring. 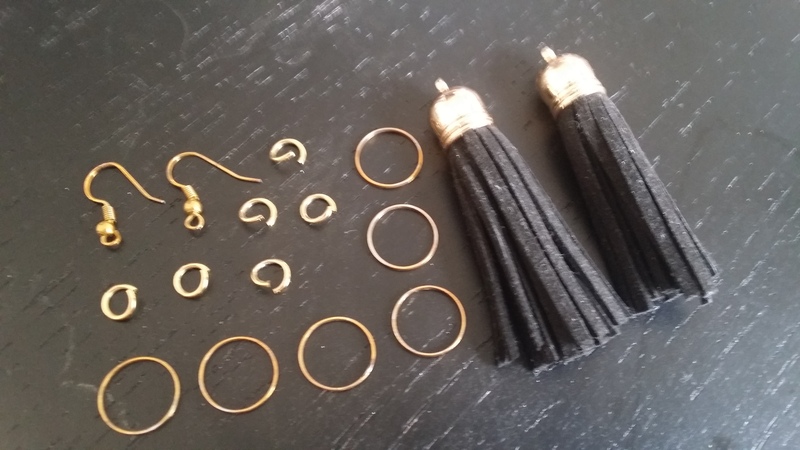 You now have a tassel followed by 3 golden hoops. 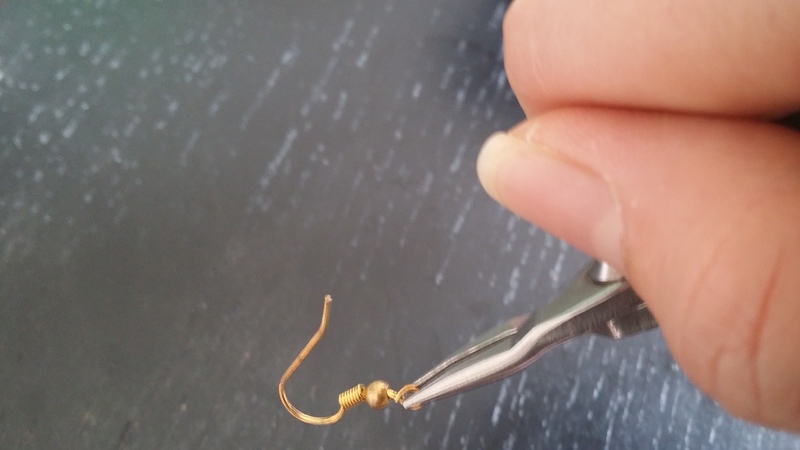 Step 4: Use the pliers to open the hoop at the bottom of the earring hook, insert Step 3 in, then close the earring hoop with your pliers.